2.EVEN IF YOU DO YOU DON'T NEED THE COMPLETE ADDRESS. Modern browsers have a single window for typing addresses and searching. This means that if you type in the first part of a domain name it will usually suggest the rest before you get to the top level domain suffix at the end. Nobody types http://guardian.co.uk anymore since "guardian" is usually enough. 3.MEMORABLE URLs ARE LARGELY IRRELEVANT IN THE TWENTY-ONETIES. Most people today are reaching websites by following a link or by searching. 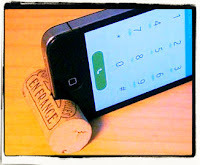 The rest will be arriving through Siri and it's rivals. Others are not even going to visit your website as mobile apps replace pc-centric technology. In this scenario people are not going to need to remember your URL any more than they need to remember your phone number,.so having a cool URL is about as relevant as having a memorable IP address, an easy-to-remember phone number or, going back a few more years, a telegraphic address. 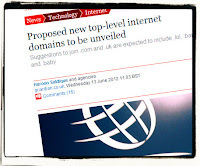 ICANN is selling top level domains for an initial fee of $180,000 plus a stiff annual fee. 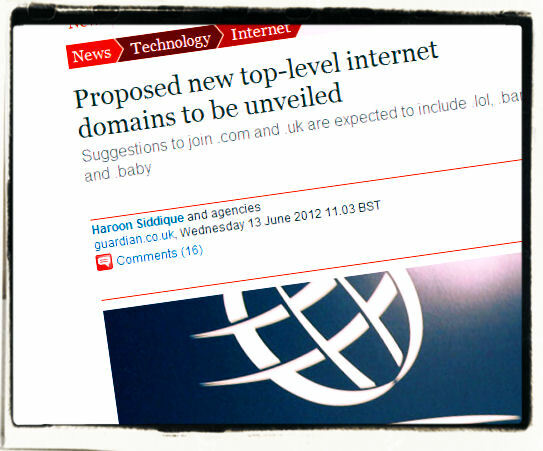 It is hard to see what purpose adding dozens of new top-level domains can serve except to generate more revenue. Businesses dislike them intensely because they are foced to register multiple domains for brand protection -- if you register a domain like acme.cola you have to register also acmecola.com to stop others squattng there or to deal with the people who just assume you have a .com address. More domains just means more brand protection headaches, more work and more expense -- all for an address that no longer has any value.